When I was very young – at primary school – I remember piling out of the gates with all my pals one night, only to find my mother waiting for me – as she usually would – in the car. This time, however, there was something different. 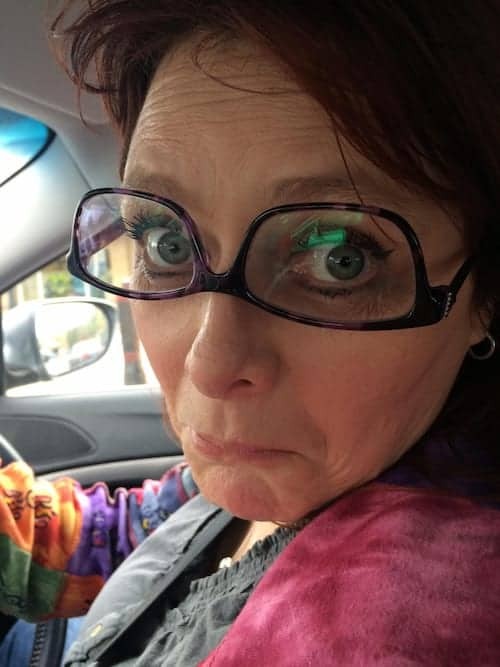 This time, in plain view of all my peers, my mother was sitting in the driver’s seat wearing a fake nose and comedy glasses – complete with bushy moustache and eyebrows. I remember feeling absolutely mortified. In my, maybe seven years of life, I had never felt so embarrassed. Those formative school days were tough enough, without my mother displaying her comedic lunacy to the entire year group. I was furious. I leapt in to the car, as quickly as I could, and demanded she take off her silly disguise. Years later, I can look back and see the funny side, though I can’t imagine ever doing something quite so ridiculous. Though I couldn’t see the humour as a child, I can now credit my mother with being one of my greatest teachers. My mother – and her father, when he was still walking the world with us – taught me one of the most precious life lessons by far: they taught me to laugh at myself. There’s a really important distinction to make here: they didn’t instil any derogatory sense of humour – it was never about beating myself up, or believing that the world was out to get us, to the extent that we needed to be first to the punchline. No, this was quite different. My closest two generations were teaching me to walk lightly – I was learning, through experience, the beautiful power of finding the fun in the most mundane situations. There’s a time for being serious, sure… but it’s not 24/7! Though I experienced the same ups and downs of any kid growing up through the 70s and 80s, with all the harsh news and economic pressures of the times, I remember there was always laughter. Not just a little polite giggle, or the occasional smirk, but big, belly jiggling, tears-streaming peals of delight. Our family called them ‘laughing fits’ – those times when we howled with humour so much we couldn’t stop, to the point where we’d be gasping for breath and not daring to look one another in the eye for fear of starting all over again. There was the time my mother and one of her sisters decided to try stilt walking; my mum carefully threaded the stilts up the legs of my aunt’s tight, denim jeans, then hauled her upright… only for them to realise too late that she couldn’t bend her knees. For those old enough to remember, it was like a scene from the opening credits of Worzel Gummage. Then there was the time our car got stuck in some mud on a family holiday. My mother got out to push, only to land face first in a pile of cow dung when the dad hit the accelerator and the car began to move. There was the time my grandfather sent my mum and my aunt off on an errand to collect a garden shed, only for them to realise later that there was no shed and the old prankster had invented the address and packed them off on a wild goose chase. Comedy tumbles, exploding cigarettes, wellies stuck in mud, eating each other’s Scrabble scores to destroy evidence of losing a game… the laughter happened come rain or shine, whatever was in the news, however tough times might have been. Laughter always got us through. 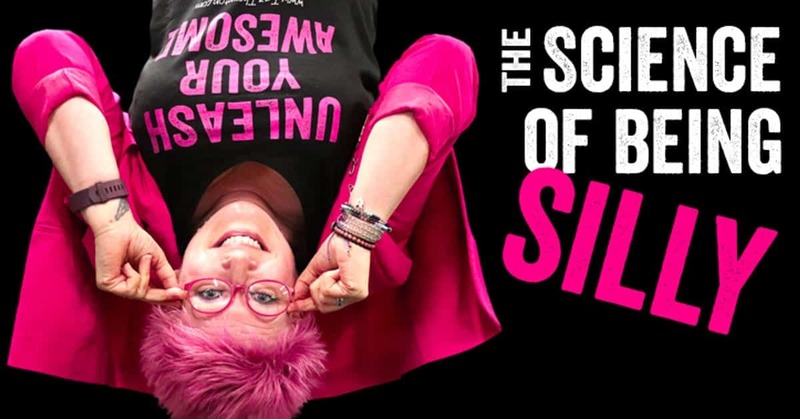 It’s really these lessons around embracing the daftness in life that led me to start examining the seriousness of silliness (see what I did there?). Before we go any further, I want to own up and tell you that not all of the science I’m about to delve into relates to being silly per se. But, you know how it is, we all need to make allowances for alliteration! I also want to tell you that I’m not a scientist by any form – honestly – I flunked chemistry. I’ve since decided that ‘F’ stands for FABULOUS!. Stop Being So Silly And Grow Up! Now then, to paint a fuller picture for you, I should tell you what I began to realise as I grew into my own adulthood. As my career blossomed and I began to explore the world on my own, I found that most of the people I was hanging around with weren’t very good at laughing at themselves at all. Silliness was very often beyond them. They found it distasteful and, like the young Taz at the school gates, incredibly embarrassing. I thought nothing of dancing around a supermarket aisle, if only to release a bit of stress, or adopting a silly walk just for japes, but my peers didn’t get it. I remember, in the early days of our relationship, my wife and I going to Brighton, and she and her best friend distancing themselves from me as much as they could until I promised to stop doing a one woman jive around the pier. I’m a great one for leading by example, so I try to be silly as often as I can. For instance… look at the title image for this column. Imagine my personal trainer’s face when I asked him if I could come into the gym, clad in my ‘work’ clothes and have him take pictures of me hanging upside down. The funniest part was getting me up to the top of the rig and over in the first place. I shot a video of the entire process and shared it on social media, just to share the silliness even further. You might wonder why I’m happy being so daft. How on earth could an award-winning coach, a speaker who gets hired by household names to deliver professional presentations, a best-selling author, be so openly ridiculous so often? Well, it was really when I began to train in various disciplines to help me carve out my career as a coach that I realised the true value of silliness – if we could only get over ourselves enough to allow it. 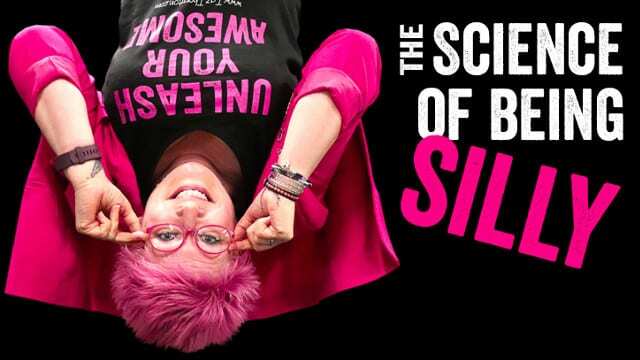 I learned that silliness can be a wonderful way of ‘breaking state’ – forcing our minds to get out of their stuckness and into a different mode by doing something entirely different. Tony Robbins – perhaps one of the most well known coaches and champions of the human condition of our time – talks about breaking state by shouting his joy at having non-smelly feet that day, for instance. Is that what we were unwittingly doing all those years ago? Were my family and I using humour to ‘break state’ and allow life to feel that little bit easier? I spent years learning from the wisdom of shamans and medicine people too – so many beautiful tribal cultures who actively embrace walking lightly and finding the joy in the smallest thing. I learned about embracing ‘star child’ energy – tapping into that magical mindset of wonder that we so readily leave behind. Why do we condition ourselves to leave all that beauty behind as we grow up? Convinced silliness must be good, I hit up Google and found the most amazing man, whose knowledge of all things fun is far more academic than mine! Professor Doctor René Proyer, at the Martin-Luther-University, in Germany, has a special interest in playfulness in adolescence and adulthood and was kind enough to spare some of his time talking to me. Though not specifically focused on all things silly, Professor Proyer had been researching a new model of adult playfulness as a personality trait which included lighthearted and whimsical behaviour. Playfulness, it would seem, can have a beneficial effect in several areas of adult life, not least relationships, interacting with others and even intellectual achievements. Without going deeply into the science, Professor Proyer argues that it is important to rethink our way of thinking about playfulness and, as a result of his research, he believes there should be more room for being playful in our lives. Professor Proyer also talked me through some of the very real phobias people experience when it comes to the mere idea of being laughed at, and I wondered if fear might be at the heart of our ‘grown up’ reluctance to be silly. Back to my wife, let’s just say it’s impossible to live with me without occasionally giving into bouts of daftness and, these days, she’s occasionally even sillier than me! Back to breaking state, then. These days, I talk about comfort zones an awful lot in my work and I often use the power of silliness to help people stretch themselves and start to ‘de-starch’. What I’ve noticed is this: once people realise the power and freedom in just letting go and allowing some of that childlike silliness to bubble back up, they find it easier to tap into a positive mindset. I’m not saying being silly immediately heals all ills, or that one good giggle fixes people for life but, if we can use the tools we all have at our disposal to break negative states and aim for optimism, that can only be good. And this is where some real science comes in! You might recognise the main protagonist in this pic as a chromosome – and you’d be right. The DNA is on the inside, and those little caps on the end of the ‘X’ are telomeres. Thanks to some excellent timing, the BBC’s Science Focus magazine carried some amazing research information just as I was reading my way through a fascinating book – The Telomere Miracle, by Ed Park. I wanted to talk about telomeres in a TEDx talk I had coming up, and the article provided a wonderful shortcut and told me exactly what I needed to know! Ed’s is a great book, nevertheless – I’ll definitely finish it later. In layman’s terms (because that’s what I am – you might think I’m making this simple for you but, in truth, it’s entirely for my benefit!) 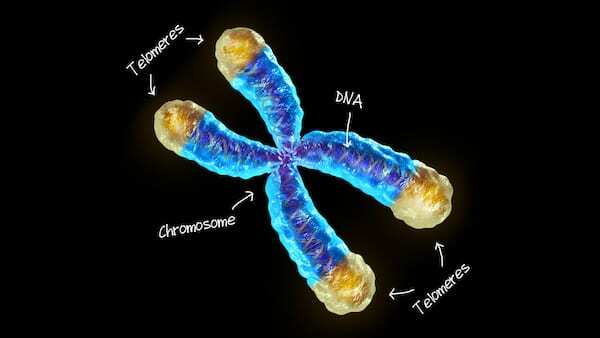 telomeres are chunks of DNA that act as protective caps at the ends of our chromosomes. Well, there’s now a fair chunk of research that connects shorter telomeres with cynicism and pessimism. Yep – those people we might see as ‘negheads’ or ‘mood hoovers’ probably have shorter telomeres than us optimists. Ha! My glass is so full it positively overfloweth! What’s really important about this, though, is that short telomeres have been associated with everything from heart disease to lung conditions! The good news is that research has also shown that levels of telomerase – an enzyme that fights against the tendency for telomeres to get shorter and shorter – increased by up to a third in a group of people who were sent off to an intensive meditation retreat. It’s believed that the telomerase boost was due to the levels of wellbeing people felt, so anything that increases a sense of wellbeing is likely to have a similar effect. We’ll Have Nun Of That! As if we needed more evidence that a positive mental attitude can have long-term health benefits, let’s look at a study conducted in the 1980s which looked at the autobiographies of catholic nuns. During the research, 180 autobiographies of nuns between the ages of 20 and 30 were analysed by psychologists. They found that the nuns who were more positive lived an average of 7 to 10 years longer than those who weren’t. So, we know that being silly can be used to snap ourselves out of a negative state and that a more positive outlook can have major health benefits. I want to round this up by sharing some of my own research with you, and I’d like you to all join in with me and follow my instructions absolutely to the letter. I’ve found this exercise manages to shift the state in 100% of subjects, and it’s something you’ll be able to use wherever you are – on the bus, the train, the doctor’s waiting room, even to shake off nerves at your wedding – perhaps just before you say your vows. Ready? I’m gonna talk you through this one one video – pop yourself over HERE and I’ll talk you through it. You just need to make sure you’re paying attention and doing exactly as I say to make it work, okay? Did you manage it? Just hold that pose for a moment and turn to the person next to you. If you’re all on your lonesome, find a mirror and take a look without letting go of your special power pose. How do you feel? A bit daft? Ready to laugh as you realise I’ve just caught you all on a giant jape? It worked though, didn’t it? I bet you’re feeling a little bit lighter now. That’s the magic of it. That’s the science of being silly.